How long should my fireworks display last? It is that all important question of how long your fireworks display should be is answered here! – This will depend on what kind of display you are doing, who it is for and how much you have budgeted for regarding the actual fireworks. The duration depends on the nature of the event as well. 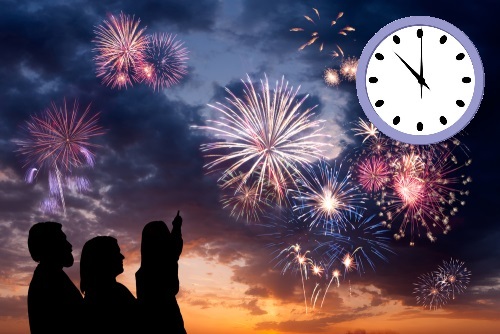 3-4 minutes will normally be quite sufficient as the closing feature of a wedding or birthday celebration, whereas if the fireworks are the main feature of the event (as on Bonfire Night) then the display should be considerably longer. We will start at the smaller end of the scale with a back garden display. With these displays they can range from a standard family display to a larger private party. Generally a small family display usually consists of a selection box of smaller fireworks containing fountains, roman candles, Catherine wheels and small rockets, and maybe a a few other larger multishot fireworks and a bigger pack of rockets, maybe coming to between £50-£100. Small family displays are usually quite a relaxed affair with fireworks being let off intermittently and the designated firer choosing which firework to light next, or an intermission where food and drink is involved. In this case you may expect this kind of firework display as a whole to last about half an hour to 45 minutes without continuous fireworks. If you are having a larger gathering or party with fireworks it is generally a good idea to have a slightly more structured display with more impressive multishot fireworks and rockets. assuming you have enough space in your garden. It is a good idea for this type of display to be a bit shorter so everyone is not standing around for too long, especially if the weather is not too good. If you can, a duration of no longer than 10 minutes would be preferable. With a shorter display this will probably be more beneficial to your neighbours and surroundings as well so that the noise wont go on for as long. This noise factor can effect the elderly and animals, so if you do have older neighbours, neighbours with cats and dogs or you live near a farm with horses and livestock, a shorter display will benefit them in this case. As a side note we recommend always notifying your neighbours or any farms near where you live about your upcoming display. “How long should my fireworks display last?” and other blogs can be found here at Fantastic Fireworks.